How Many People Do Cellphones Kill? Distracted driving, some of it due to cellphone use, contributed to an estimated 3,092 deaths in highway crashes last year, according to the National Highway Traffic Safety Administration. eating, said Arlington County resident Peter Hogan, who thinks hands-free devices should be allowed. “It’s distracting, but almost everything you do can be distracting,” he said. There’s really no reason to say that “some” fraction of 3,092 highway deaths is due to cellphone use. You can just go to the FARS database and look up the numbers. 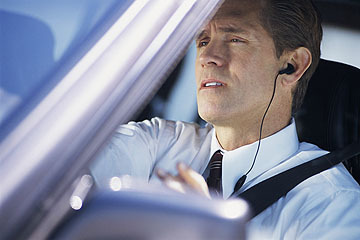 If you do, you’ll find that cellphones were implicated in 223 highway fatalities in 2010. Eating and drinking were implicated in 36 deaths and the “other occupant” category was implicated in 211 deaths. This is the kind of data you need to know if you want to decide how you feel about a cellphone ban. On the one hand, knowing the actual numbers might make you feel that a ban is unwarranted. Maybe you don’t think that 223 deaths is enough to justify the heavy hand of a nationwide ban. On the other hand, you also can’t just wave your hands and pretend that it’s no worse than eating or drinking. As it turns out, cellphones are implicated in six times more deaths. There are plenty of other things you might want to know. How does the number of chatty drivers compare to the number of hungry drivers? How reliable is the reporting of these crash statistics? How do our figures compare to other countries? Still, if you’re going to report about this stuff, you should at least provide the basic raw numbers.